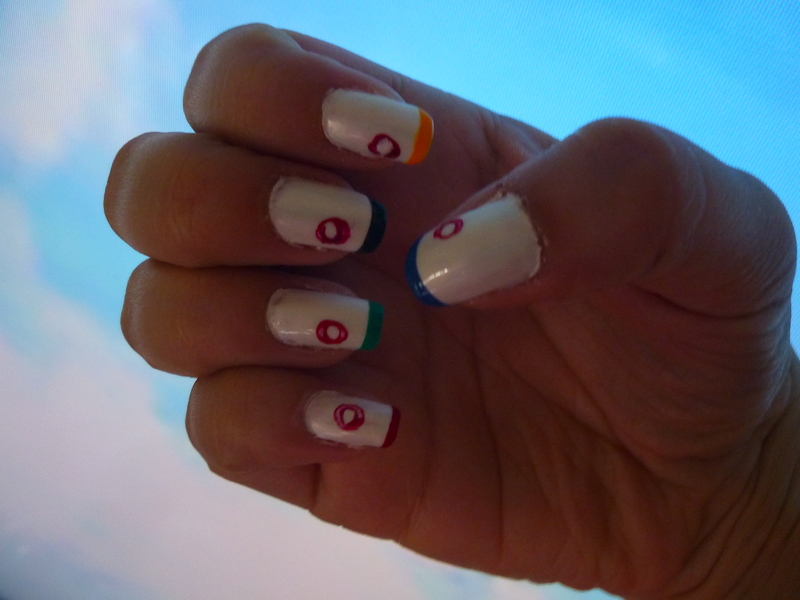 I started doing this manicure when watching the Opening Ceremony. How weird, how wonderful, and how very British! 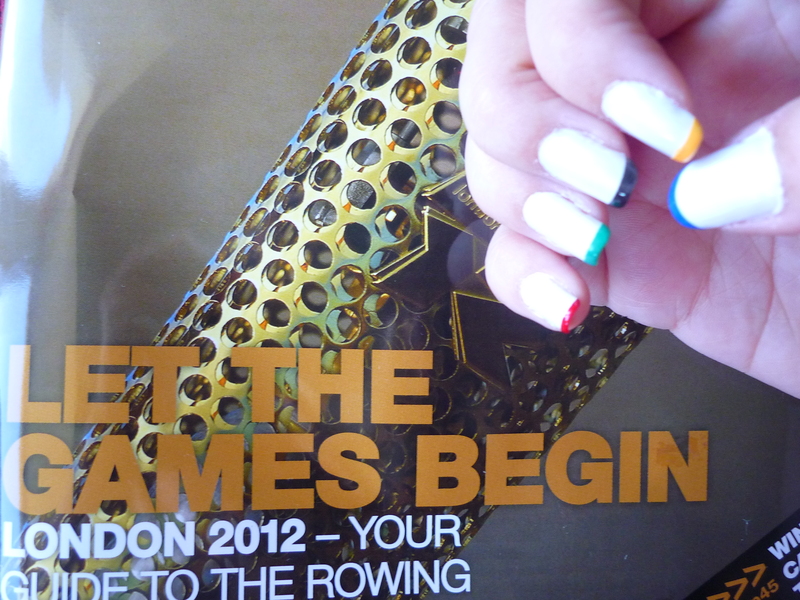 I’m getting very excited to watch the Games, I predict most evenings now will be spent glued in front of the TV. I started with a white base, first I used the Petites French White, then added a coat of the Natural Collection Sugar Mouse for shimmer. 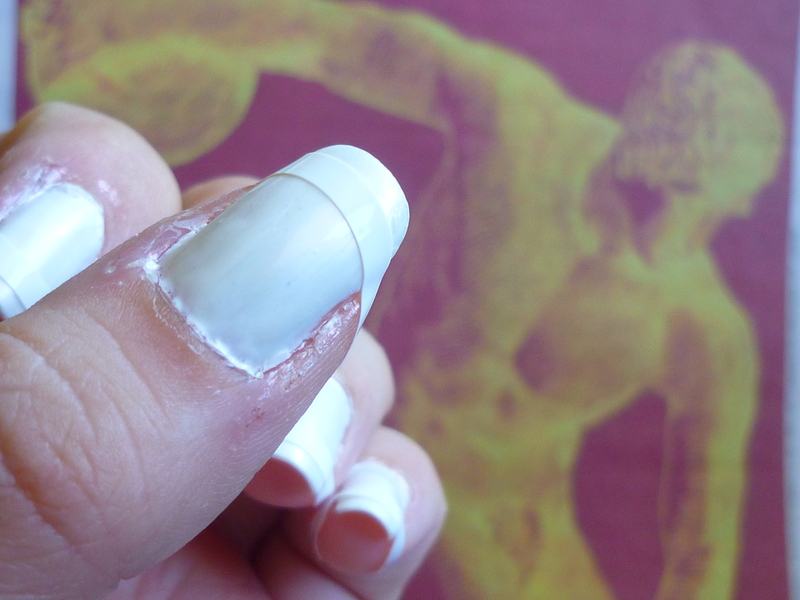 I used these strips to make sure the French tips were very thin, straight and even. 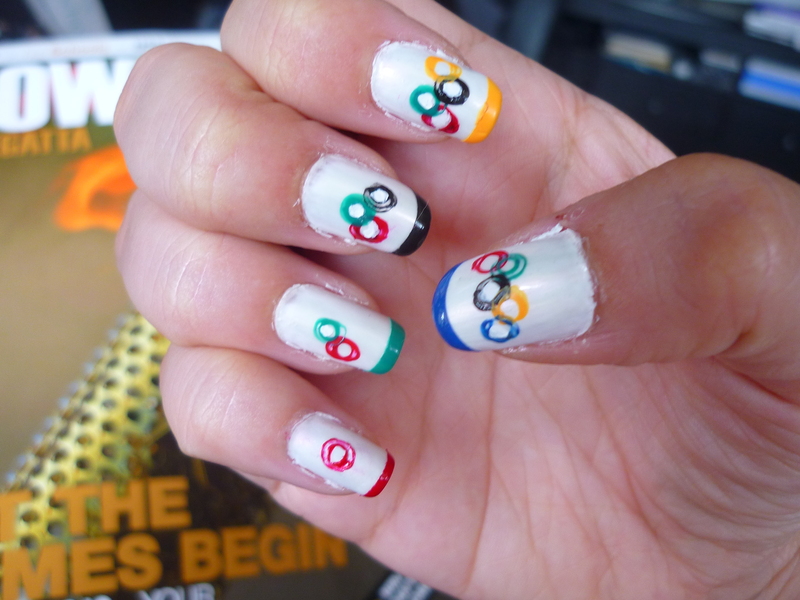 The colours of the Olympic rings on the tips – it’s convenient that there are 5! 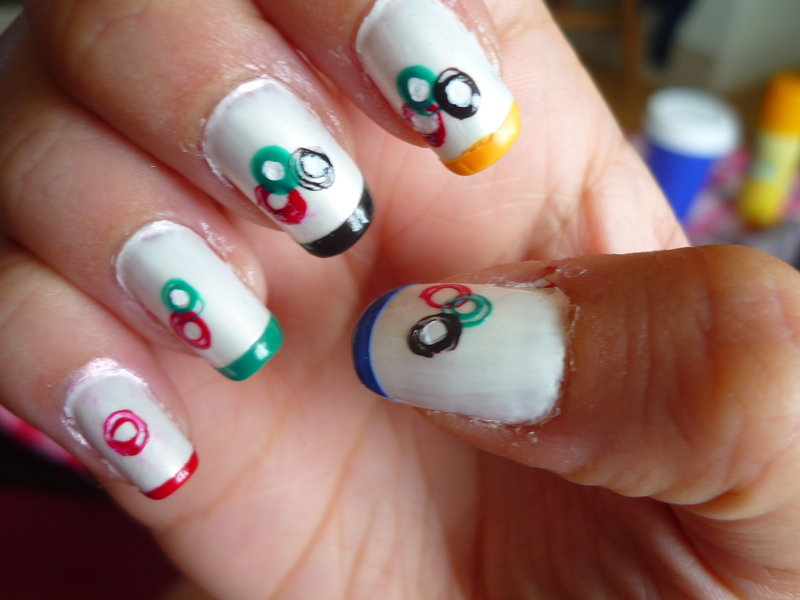 I wanted the effect of the rings ‘building up’, so I started by stamping on the first, red ring. 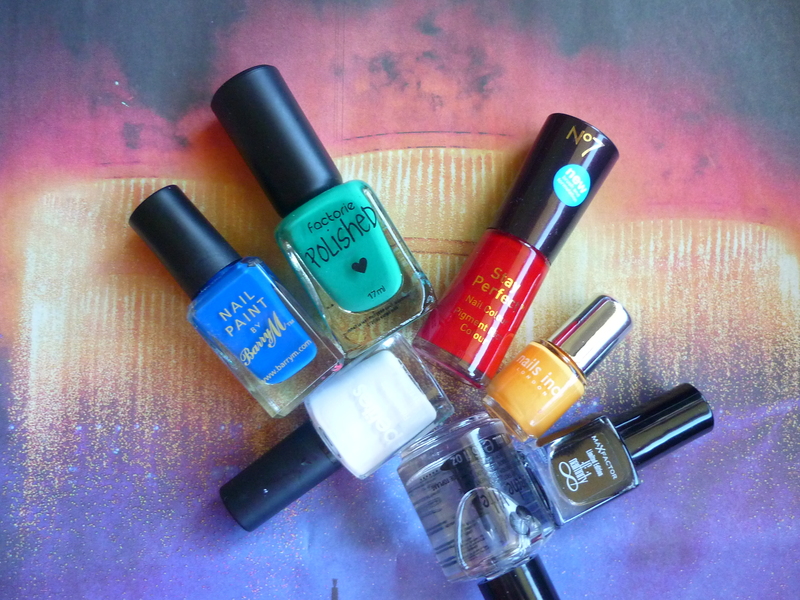 I used an old pen which I unscrewed and kept only the ring, and then dipped it in nail polish and stamped it on the nail. It was quite tricky and time consuming, and they aren’t all perfectly even, but it was a fun challenge! 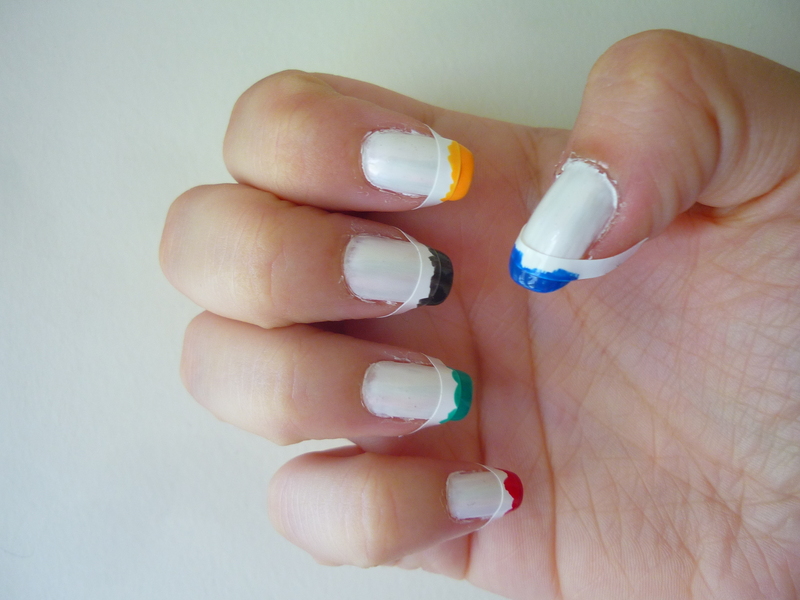 Here you can see I’ve added three ring colours, building up to a full set on each thumb. The finished manicure. I got a lot of compliments for this, and it was really fun to do. Prep time: ~1.5 hours, it was very time consuming to ‘stamp’ each of the rings, but it was worth it!